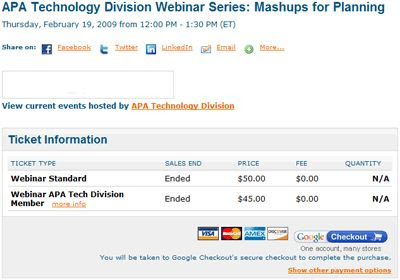 Subscribe to comments with RSS or TrackBack to 'Technology Division of the American Planning Association (APA) Webinar Series – TECH 101: Mashups for Planning'. good webinar. a little over my head, but good nonetheless. @plan2win: We’d put this on slideshare or some such. Stay tuned.